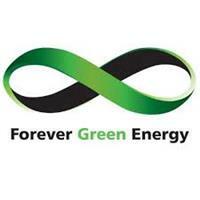 Forever Green Energy - Central Heating Engineer, Plumber, Renewable Energy based in Churchill Road, Gloucestershire. As a group of qualified plumbers and electricians who specialise in the installation of renewable energy solutions, we offer solar panel installation, battery storage (we are also Tesla accredited installers) biomass and heat pumps, as well as plumbing services and boiler installation. We’re big on giving honest, transparent advice to ensure your choice of green energy solution is right for both you and your home and it goes without saying that our workmanship and customer service is second to none. Facebook, Twitter, Google+ and LinkedIn for updates and more.